Greg Antonacci (b. 1947) is an actor and producer who, early in his career, was a puppeteer on the 1970 Muppet special The Great Santa Claus Switch. According to Jim Henson's notes, he was assigned Gloat. Antonacci wrote and starred in the short-lived Broadway play Dance With Me (1975). On television, he was a regular on the single season seventies sitcoms Busting Loose (1977, with Paul B. Price) and Makin' It (1979). He guest starred on The Rockford Files, Laverne & Shirley, and Soap. Later, Antonacci had recurring roles on the HBO dramas The Sopranos (as Butch Deconcini) and Boardwalk Empire (as Johnny Torrio). He wrote for assorted sitcoms and cartoon shows, including Webster and The Lionhearts, and directed episodes of Perfect Strangers and Herman's Head, as well as sometimes producing. 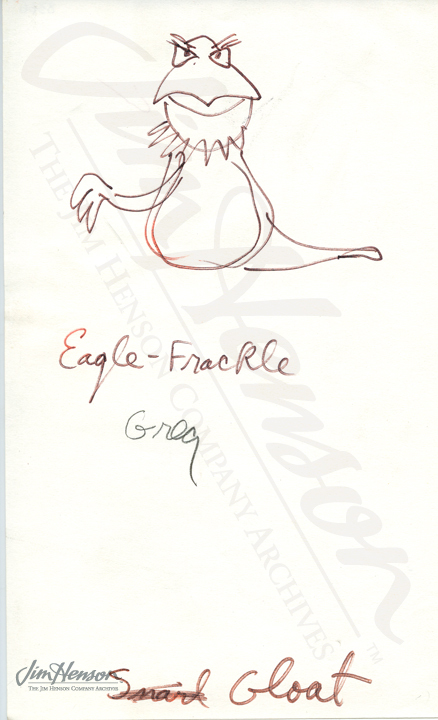 ↑ "Eagle-Frackle" sketch. Jim Henson's Red Book. June 1, 2012.